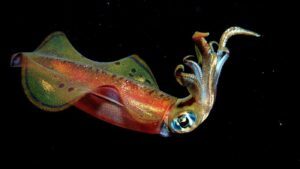 In motorcycling terms, a squid is the name given to bad rider that wears minimal protective clothing and rides a bike way beyond their abilities. The term ‘squid’ refers to the way that they look after they have been scraped up off the road. Sadly, motorcycle licensing in the US is very bad. A license is obtained simply by completing a safety course which contains no street riding and no speeds beyond about 25mph. Other than a small insurance discount for having passed a test, there is pretty much no incentive. You can simply walk into a dealer and buy the fastest bike on the planet and ride out. Obviously a riding buddy can teach you all you need to know in a few minutes because riding a motorcycle is dirt easy. Right ??? Sometime a wannabe rider will ask experienced bikers for their opinion on a good starter bike. Almost without fail the conversation goes like this. Q. Hey guys I’m looking to start riding, I’m thinking about getting a Kawaduci 1000RRR as a first bike, is there anything (sic) I need to know ? editors note: The more R’s in a bike model name, the more it is aimed at racing use rather than street use. Additionally, 1000cc bikes make 150-200hp and are absolute spaceships, our wannabe rider here is aiming way too high. The collective knowledge will generally agree that a small capacity motorcycle, perhaps a 250cc or less, is a great starting point, ripping open the throttle at 20mph generally will not kill you. On 600cc race bikes and above, they will have a very good attempt. The problem is that there are a lot of things to learn and a new riders’ reactions are generally the exact opposite to those that are needed in a sticky situation. Starting small helps to build those reactions and tends to prevent the new rider from committing involentary vehicular suicide. The collective therefore weigh in…..
A. You would be way better suited with a 250 that you can ride for a couple of years. This building up your experience. Its very hard to actually learn anything on a bike that is forever trying to kill you. Q. Well I’m a big guy / older guy and the 250 looks small. editors note: We are into justification mode here, the potential rider is trying to make out that they are a special case and that normally recommended routes / roles do not apply – we will see more of this later. A. The 250 is a similar physical size to most modern sports bikes. Q. I’m worried that it will be too slow, my Bro rode one once and he nearly died when an F150 tried to run him off the road. editors note: This is common – a 250 is actually quicker than many cars, but it needs to be ridden well. A 250 will hit 60mph faster than an F150, it will go on to 80+mph – but you have to work for it. A. A well ridden 250 will easily outrun a truck. Q. My Bro has been riding for years. He says it’s too slow. I’m inclined to believe him. Q. How about this Yamonda 500? A. Well the slightly newer one has ABS and better build quality. This would be a better starter than any 600cc supersport, but it is still a lot of bike for a newbie. The brakes are less insane, the poor delivery is OK, you would make your life a tad harder on a 500 compared to a 250/300, but yes, the 500 is a good bike. Q. Hey Guys, I got me gear this weekend, I got a sick helmet and a jacket, I’m all set up. A. And gloves ? And pants ? And Boots ? Q. I’ll wear my high-tops for the safety course and I have some leather gloves, so I’ll be fine. A. Please at least get some motorcycle specific boots, they protect your ankle when you crash. Q. Hah-Hah, I do not plan on crashing, I also aced the course, instructor told me that I am the best rider he has ever seen. I think it was my years of driving a ‘stang that helped. A. Sigh. Well congratulations on passing your class, now go get that 500 and put a few thousand miles on it. 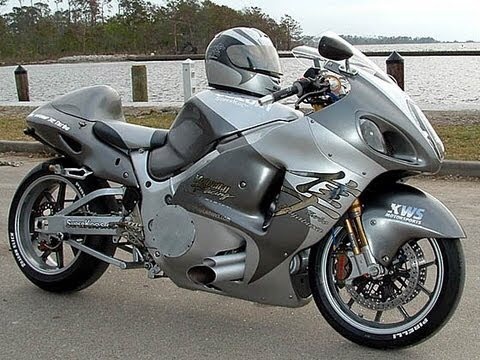 editors note: The photos is of a (turbocharged) Suzuki Hayabusa, the one-time fastest bike in the world. It was capable of a real-world 200mph until a gentleman agreement limited it to a mere 185mph in its second generation. As a road bike it is really very good and extremely deadly in the wrong hands. The one pictured is highly modified and capable of way over 200mph. A. Yes we do too, but that’s an insane bike for the road and utterly stupid for a new rider. Q. Going to see a 500 tomorrow, dealer has it on sale, its cheap, its not done many miles and it has ABS. Q. I bought a (modified) Yamawawa 600RRRRRR. But I’ll respect it and be careful. I need to get more carbon fibre bling for it and a nice loud pipe, but other than that its great, I call her ‘Eleanor’. editors note: At this point, there is a flurry of side-bets regarding how long it will be before the inevitable crash photos. There is good money to be made on such activities, generally. Often the betting is on the first low-speed ‘dropped the bike’ story – this is frequent in the first month, this then leads up to a low-side on ‘gravel’, or a full-on high-side into the scenery. Oddly the gravel is usually hard to find and never effects others. It is almost always as a result of rear brake application in/close-to a corner. High sides are usually a bunch of front brake, also in a corner. Q. Hey guys. Here’s some pics of my injuries. I hit some gravel on a curve and lost the front end. It was great up to then, I’d put almost 100 miles on the old girl since I got it three months ago. The nurse says that I should be out of here in a few months. Bit of a shame that I was not wearing my jacket, only it was a bit warm and I find it restrictive. My helmet held up great though, all the scrapes and gouges look sick, my Bro’s will love it when I get a new bike.